More than 300 high-ranking and shipping community executives, from maritime Organizations, journalists, Embassies’ representatives, academics and students from Educational Institutions and from AEN of Oinousses and Chios gathered in such mythical maritime Greek island. This is the first time that NAVIGATOR SHIPPING CONSULTANTS, organized such a week-end for shipping decision makers, with a range of activities facilitating a friendship atmosphere and obvious moments of networking. As one of the greatest achievement of this year's NAVIGATOR FORUM has been an open dialogue held in a full amphitheater by representatives of the entire spectrum of the shipping industry, including Irene Argyri, Chief Of Coast Guard of Chios, Plotarch Panteleimon Vatoussis Commander of AEN of Oinousses, Maria Makka, Director of Studies of AEN of Chios, as well as Greek seafarers, where the problems of the sector were discussed, but also with proposals for their possible resolution. Danae Bezantakou, CEO of NAVIGATOR welcomed the participants underlining that in order to maintain the leading position of Greek Shipping worldwide, we should combine ORGANIZATION-METHODOLOGY-WORK-FINANCING-KNOWLEDGE ... but also the awakening of the next generation! The President of NAVIGATOR, Capt. Dimitris Bezantakos, during his opening remarks stressed that value of SYNERGY and “HANDS ON” (meaning personal contact and care) are keys to success and to achieve the goals. The Minister of Shipping and Insular Policy, Fotis Kouvelis, indicated in the message he has transmitted to the organizers that his priorities are the development of maritime education and the protection of labor rights, having begun, in cooperation with the shipowners, an effort to upgrade Naval Education, with the modernization of the facilities of the AEN, their curriculum and their connection with higher education institutions both in Greece and abroad. In this way not only trained seafarers, but also experienced shipping executives, our tomorrow's colleagues are guaranteed. Dr. George Pateras, Managing Director – AEGEUS SHIPPING S.A. & President – Hellenic Chamber of Shipping addressed the participants with an articulated and meticulous speech under the title “To scrub or not to scrub?” underlining that the issue regarding scrubbers is a commercial decision and not an environmental solution. And he mentioned how the shipowners should be more proactive in the environmental decisions to be taken in order to continue to be at the top. “The future of shipping: the role of technology, environmental developments & changes in human resources” was the first panel moderated by Elena Athousaki, Head of Maritime Sustainable Center - PwC. She introduced the discussion with some elements of the agenda for the future (Agenda 2030) by IMO and the 17 goals and more than 160 targets for environment, people, technology, innovation and ultimately world peace defined as a broad framework. Speakers of the panel were: Katerina Skourtanioti, Managing Director - VENLYS Maritime Specialisation Services, Roberto Coustas, Co-Founder & CEO - DEEPSEA TECHNOLOGIES, Costis Achladitis, Managing Director - GOLDEN CARGO & 2nd Vice Presindet – PCCI, Anna-Maria Kotrikla, Assistant Professor / Department of Shipping, Transport and Trade, UNIVERSITY OF THE AEGEAN. Among the issues raised, the importance of the supply chain and the growth potential it offers by transforming the strategic location of the country's ports into hubs through which products from the East can be transported to the West was highlighted. Kostis Achladis explained that the supply chain is now the third pillar of the Greek economy after shipping and tourism and that there is still room for technological improvements in this field. Roberto Koustas analyzed the blockchain technology that combines countless data with extremely high speed in order to collect useful results that can be used by the human resources. On the other hand, Katerina Skourtanioti, focused on the human factor whose significance was and will continue to be extremely important. Regarding the unmanned ship the whole panel agreed that technology will continue to be omnipresent, but without being able to replace the human factor. The second panel “Past, Present and Future” was moderated by Capt. George Tsouris, President– Chios Marine Club & Operations Manager- BLUE PLANET SHIPPING S.A. and the speakers were George Tsavliris, Principal - Tsavliris Salvage Group, Theofilos Xenakoudis, Director, Worldwide Business Operations/Managing Director - IRI/The Marshall Islands Registry, George Alexandratos, General Manager – APOLLONIA LINES S.A. & Vice President – Hellenic Chamber of Shipping, George Xiradakis, Managing Director – XRTC BUSINESS CONSULTANTS LTD. & President - THE PROPELLER CLUB (PORT OF PIRAEUS), Angie Hartmann, Executive Vice President - STARBULK S.A. & President - WISTA HELLAS, Dinos Arcoumanis, Chairman of Academic Board - METROPOLITAN COLLEGE, George Georgoulis, Laboratory and Teaching Staff - University of the Aegean. George Xiradakis pointed out the need to return back to traditional maritime roots, as the generation of pennies is the last generation who has oceangoing experience on Greek vessels, while Angie Hartmann stressed that for the better communication between office and vessel, executives should have definitely spent a short time onboard. "You must have ethos in life, be faithful, humble and polite in order to be part of the shipping industry. Creativity and new ideas stem from poverty rather than wealth. Wealthy means "full substance". Technology cannot be improved without the soul and the contribution of human soul, said George Tavliris. Professor Dinos Arkoumanis, underlined that education is 50% knowledge and 50% personality. He also said that in addition to the cost, the environment is quite attractive to the young people, while our biggest obligation is to support and further help to maintain this trend. He also explained the importance and contribution of private education alongside the public in acquiring maritime knowledge. 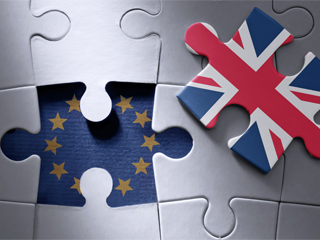 Theophilos Xenakoudis spoke regarding market’s positive response to regulations. However, he advised to pay attention to the all decisions made by IMO even if affected by strong interests because at the end of the day, shipowners are requested to pay. Capt. George Tsouris stressed how important the executives are to develop a professional culture in regard to the proper management of information. George Alexandratos talked about the necessity of Greek conferences, Greek crews, but above all the introduction of the shipping in schools, which is also the fundamental value of YES Forum. The third panel untitled “ The new challenges in Shipping & the role of education” was moderated by Dr. Serafim Kapros, Professor - University of the Aegean, with the participation of the following speakers: Maria Lekakou, Professor - University of the Aegean & Dean - Business School, Maria Kakka, Director of Studies - Chios Merchant Marine Academy of Engineering, Capt. George Tsouris, President, Chios Marine Club & Ops. Manager- BLUE PLANET SHIPPING S.A., Michael Fragkias, Designated Management Representative & Safety Manager - Sun Enterprises LTD, Costas Kalargyros, Group HR Director, Latsco Shipping Ltd, George Georgoulis, Laboratory and Teaching Staff - University of the Aegean. Professor Serafim Kapros, emphasized that the basic pillar of the University of the Aegean is an high quality knowledge and the process of acquiring practical training. The Dean also noted "We are applying technology-based models of entrepreneurship and we use the island as a knowledge lab". Maria Makka pointed out that young people are finally turning to shipping and that already 100 students of AEN have already participated in educational trips. In this way they are entering in a work environment from their 18 years of age. And lifelong learning is now a part of the seafarers lives. “I was fortunate to manage young people, investing in human resources, in a company that the majority were Greek seafarers. Today we are proud of the cadets, who are qualified, financially independent and devoted to the sea. After more than 50 years of experience I can safely say that the water running in the shipping taps is remarkable, " said Michalis Frangias. “You need to get to know the person you choose. You cannot exercise human resources management unless you understand the culture of the company. I would like companies to be in touch with the universities. The values of shipping must be transmitted to students, "said Kostas Kalargyros. As initiator of this first “NAVIGATOR – The Shipping Decision Makers Weekend”, managing from the start the transition of the sessions, Danae Bezantakou concluded in pointing out that some steps should be taken to institutionalize “voluntary work” so that young people gain knowledge and experience. Professor Serafim Kapros, proposed that at least two workshops per year attended by both students and shipping executives should be organised. Beyond the Forum and the debates, the 2018 “NAVIGATOR – The Shipping Decision Makers Weekend” proposed to all Forum’s participants a traditional Chian Feast, an excursion to Mastichochoria and a tour at both the Museum of Masticha and at the Nautical Museum. Such innovative event would not be possible without the support of sponsors, the Greek shipping community participants and supporters and the cooperation of KEFI S.A. that helped this Forum to take place for the first time in Chios Island. 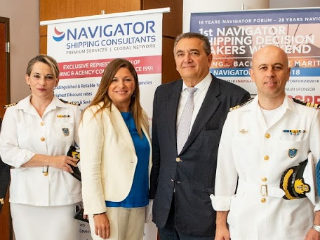 We are already looking forward to welcoming you in the 19th NAVIGATOR 2019 – The Shipping Decision Makers Forum, which will take place Athens during November 2019.